If you loved Anime and mini-figures, the toy team-up of your dreams is here! 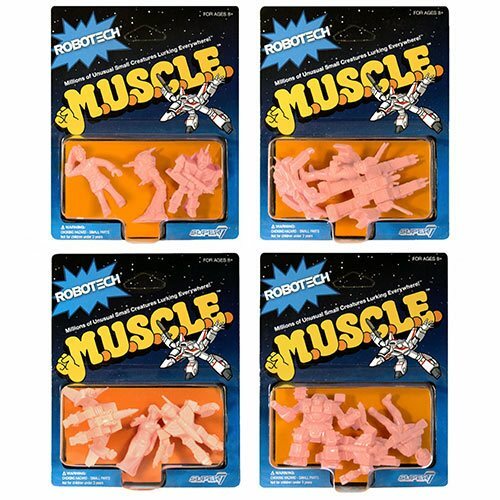 Robotech's cast is back as era-appropriate plastic 1 1/2-inch M.U.S.C.L.E. mini-figures. Each 3-pack is individually packaged on a retro card, just like you remember from the original tiny wrestling toys out of Japan. Battle for the future of space with this exciting set. Ages 15 and up.